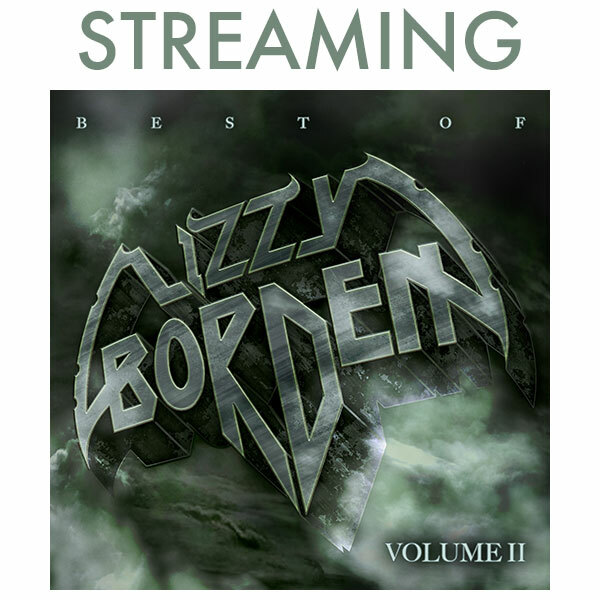 Since 1983, the name Lizzy Borden has been synonymous with heavy metal music of the highest caliber. With My Midnight Things he has reaffirmed this standing, delivering the biggest, most dramatic, moving and cinematic record of his career, and one of the most essential additions to the genre in 2018. While showcasing a diverse range of sounds, tones and moods, it is unmistakably the work of the man who released a string of classic albums in the 1980s and two more in the 00s, but with a new fire burning at the heart of the record, it is one that he has lovingly crafted for those who scream along with every word at his shows. "On our last tour across Europe, Asia and South America, I noticed that the audience had changed," he states. "It got a lot younger. I looked out to see all these kids in every country singing at the top of their lungs to songs that were written before they were born, and that made me want to start writing some full-blown albums just for them. I wanted to make songs that would be theirs, albums that they could be a part of." Having not dropped a record since 2007's mighty Appointment With Death, fans have understandably champed at the bit waiting for new material. Though penning numerous songs throughout that period, when it became time to seriously focus upon writing an album, the multi-instrumentalist did what needed to be done to be sure of creating the best possible music. "I knew the only way I could find what I was looking for was to lock myself away and experiment, so that's what I did. I wrote and recorded in my studio in North Hollywood in a very industrial area all night every night, with only sirens from fire trucks and these songs to keep me company. It was a lonely time, but very fruitful. You might even hear some of those sirens in some of the songs if you listen closely." Starting with between forty and fifty songs, he steadily whittled these down to fifteen, and finally to the ten that made the record, only wanting the very best to make the cut. As with all of his albums, once Borden hones in on a core subject matter he builds the album around it, and in the case of My Midnight Things, the theme is that of love. However, adopting a different approach to writing than usual, rather than starting with music, he instead focused on the lyrics, and penned the music later to best serve the stories being told, wanting every song to stand up on its own while keeping the storyline of the record moving forward. "I just let the lyrics drive the mood and the way I would sing each song, but overall I kept it varied and engaging enough so that listeners will want to devour the whole album in one sitting, without you hearing me repeat myself." The diversity of the record makes it abundantly clear that he succeeded, and it makes for a thrilling ride from start to finish. Opening with the titanic stomp of the title track, the cinematic feel kicks off from the start, a serpentine seductiveness coiling through it, and the likes of "A Stranger To Love" and the bruising "Our Love Is God" inhabit similarly dark territory. The more stripped down, haunting strains of the reprise of the title track - which was in fact the first version penned - is achingly frail, and then counterpointing all of the record's darker and more brooding moments are the upbeat "Long May They Haunt Us", the hugely anthemic and uplifting closer "We Belong In The Shadows", and the frankly glorious "Run Away With Me". While the title of the album "means many different things" to Borden, he chooses not to disclose these, allowing listeners to find their own meaning in it, which is something important to him. In terms of the record's central theme, he acknowledges that while "love" seems somewhat obvious, he tried to find a way to see it through a different lens. "Sometimes being in love is the worst thing that can happen to you if you're with the wrong person and you can't stop it, and sometimes it's the best thing in the world. I knew I could find things in between every other song that's been written about it. So that was the challenge. But, even though I write with a theme in mind and with different personalities singing each song, I never write in storyboard form. I always try to write in poetry form. I think you can search for more meaning that way, from one line to the next there can be multiple meanings, as opposed to being trapped telling a story." Having signed a new contract with Metal Blade on the strength of three demo tracks, Borden opted to produce My Midnight Things himself, with Joey Scott as co-producer, who also handled all the drumming duties. Having an old school approach to his drumming, feeding off the vocals, lyrics and melody rather than just acting as a time keeper, he was perfectly suited to Borden's approach to the record, which also applied to his role as co-producer. "I knew what I was going for and had doubts that I could find a producer who would understand that. My approach is very different than what is happening in today's music, but Joey got that and wanted the same thing." With Marliese Quance Mildenberger handling the majority of the keyboards, her unique melancholy playing style added even more "emotion and dimension" to each song, while Borden himself handled all of the bass, guitars, some keys and all of the vocal parts. Anyone exposed to My Midnight Things will find it hard to deny that like all of his records, it is a true vocal tour de force, each track endowed with a phenomenal amount of layering to create something that is uniquely Lizzy Borden. "The style that I record vocals harkens back to The Beatles and Queen. It's time consuming and tedious, but the result gives you a more multi-dimensional feel than you would get with a single vocal. When I recorded 'Master Of Disguise' (1989), I was clocked in at a seven-octave vocal range between all the backing and lead vocals. It gave the feel of multiple personalities within my voice, and I've used that technique on the last four albums." That every song on the record could be released as a single is testament to just how strong this collection is. While truly a record for his fans, its appeal will easily reach much further, and Borden is as eager to get back on stage as his devout followers who cannot wait to see him back up there. "I've already started working on the 'My Midnight Things' Show, and I really can't wait to play these songs live. There are so many talented players out there in the world, I know I will find the right guys or girls to be on stage with me in my touring band, and just based on what is being talked about, so far it will be the best show I've ever done. I really do feel a new excitement that I have not felt in years. The best is yet to come."